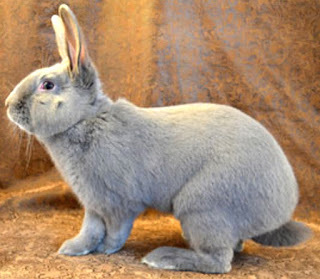 The Lilac rabbit is a medium sized breed with a cobby body. They have broad haunches, short head, well furred and with short and straight legs. The fur of the Lilac rabbits appear to take on different colors in artificial and natural light.